Kia ora and welcome to our 33rd edition. There has been a worldwide increase in the use of complementary and alternative medicine (CAM). This is the second of a four part series on complementary and alternative healthcare in New Zealand which focuses on the use of traditional Chinese medicine (TCM). TCM has been practised for over 2,000 years in China. TCM encompasses a number of treatment modalities, which include: acupuncture, acupressure, Chinese herbal medicine, moxibustion, cupping, tuina, qigong and tai chi. This commentary features research on the safety and efficacy or otherwise of acupuncture, acupressure, Chinese herbal medicine, and qigong. Acupuncture and Chinese herbal medicine are two of the most well known TCM treatment modalities in many Western countries (Patel & Toosi, 2016). Traditional Chinese Medicine is currently being considered by the Ministry of Health for regulation under the Health Practitioners Competence Assurance Act 2003.
eCALD® Services has developed a new “Working with Addiction with CALD clients” course in collaboration with the Asian Family Services team. This 4-hour course is offered as part of the Asian pre-Cutting Edge Conference being held in Rotorua (Wednesday 12th September 2018). Find out more about the Working with Addiction with CALD clients course including how to enrol. Places are limited to 25, and enrolment closes on Friday 31st August 2018. The speaker for this session is Manu Fotu - Programme Manager from the Suicide Prevention: Funding and Planning Team Auckland and Waitemata DHB. Manu will provide a brief overview about the New Zealand suicide rate, the stigma, and suicide postvention from a Pacific perspective. He will be joined by two panel members: Dr Gary Cheung and Patrick Au for the panel discussion. Find out more about this Suicide Postvention – a Pacific Perspective presentation including how to sign up for access to the webcast or recorded session. eCALD® Services are pleased to announce the launch of new courses and supplementary resources suitable for health providers working with CALD children and adolescents and their families in child health and child and adolescent mental health contexts. These new resources have been developed in response to the growing number of Asian children and young people in our population. 37 percent of the Asian population was under the age of 25 years in 2013. Language, culture and unfamiliarity with New Zealand health and social services are major barriers for Asian families accessing services for their children and young people. Being aware of the barriers to accessing health services for Asian families - and how to overcome them - is helpful in ensuring that families remain engaged with service providers and with the treatments and interventions prescribed. Being familiar with Asian family values, traditional health beliefs and practices, perceptions of health and illness and expectations of healthcare, will also reduce cultural conflict between families and practitioners. Find out more about courses and supplementary resources for those working with CALD children and adolescents. 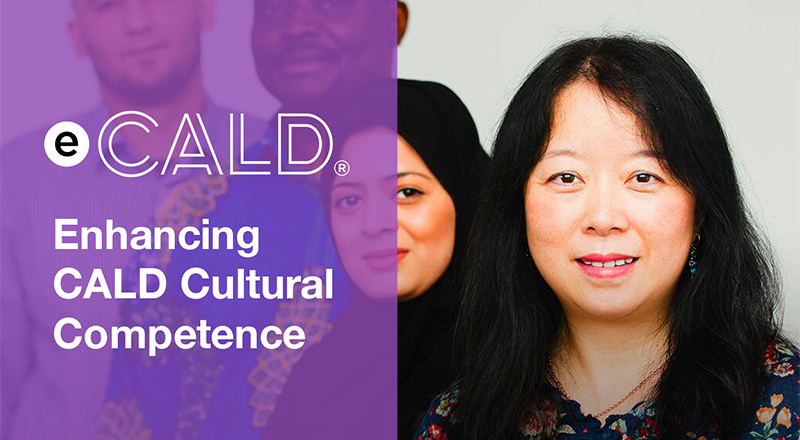 eCALD® Services are pleased to announce the launch our new Cultural Competency and Customer Service online course. This course is suitable for anyone in the health workforce working in a customer service role such as pharmacists, general practice/hospital receptionists, etc. This course is a customer facing module. Read more about the course information and feedback from pilot participants about the course. Auckland is ranked fourth most diverse city in the world by International Organisation for Migration in 2015. The city is home to more than 220+ ethnicities, with 39 percent of Auckland's residents born overseas and almost one third (29 percent) of Aucklanders speaking two or more languages. Auckland is set to become even more diverse with the latest ongoing inward migration forecast by the Auckland Growth Monitor. The Asian population in particular, was projected to grow more than 3 per cent per annum over the next 20 years and would make up 35.5 per cent of Auckland's population by 2038 (Auckland Growth Monitor, 2018).